You can be charged with insurance fraud even if there’s no strong evidence of criminal intent; inaccurately-completed medical, legal, and insurance forms can be initially offered as evidence of an attempt to defraud. Government, non-profit, and private insurers aggressively pursue alleged insurance fraud because insurers want to avoid paying claims whenever possible. Insurance fraud takes many forms, and because it’s a crime that impacts society as a whole (in the form of higher premiums for everyone), those convicted of insurance fraud are punished severely. Directly and intentionally deceiving an insurance company to receive money is illegal in all fifty states, and it’s a federal crime as well. Personal injury insurance fraud is any action that may lead an insurance company to reimburse you for an injury that is faked, exaggerated, or unrelated to the coverage offered in the insurance policy. Faking or overstating injuries from an accident, planning or staging a car theft, or setting up a fake car accident are all examples of insurance fraud. Property insurance fraud happens, for example, when a business owner sets fire to his or her own business, or when the owner of a valuable jewelry piece falsely claims that the item was lost. Exaggerating the damages from a legitimate incident like a flood or a fire to get a larger insurance payout also constitutes property insurance fraud. Health insurance fraud happens when someone fakes or exaggerates an injury to receive insurance payments or prescription drugs. When health care providers submit phony claims to a health insurer for procedures or treatments they never actually provided, that too is health insurance fraud. Professionals can lose their licenses and their jobs over healthcare fraud allegations. If you’re employed by a doctor’s office or a clinic and you accidentally overcharge Medicare, it’s possible you could be accused of Medicare fraud. If you accidentally mail duplicate bills or bills for visits that didn’t happen, you can also be charged with fraud. Medicare mistakes happen all the time, and most defendants never actually meant to defraud anyone. They’ve simply made the same kinds of mistakes we all make: transposing numbers, getting the math wrong, or putting information in the wrong spot on a form. Automobile insurance fraud happens when someone exaggerates or manufactures a claim to an automobile insurer. Usually, someone claims the damage in a vehicle collision was greater than it genuinely was to obtain a larger damage payment. Staging a phony accident to collect insurance money is a common scheme plied by con artists. Some people have even hidden their cars and claimed they were stolen in order to receive insurance money. Life insurance fraud, compared to other categories of insurance fraud, is relatively rare. Life insurance fraud happens when someone fabricates one’s own death or another’s to obtain life insurance payments. Anyone who forges a death certificate to receive a life insurance payment has committed life insurance fraud. To convict someone for insurance fraud in Nevada, the state must prove that the defendant intentionally tried to benefit from a false insurance claim or false billing. If you’re questioned about insurance fraud or taken into custody, insist on your right to have an attorney present during any questioning. Insurance fraud is serious, and penalties can include long prison sentences and severe fines. Professionals can lose their right to employment in the healthcare field. Restitution may also be required by the court. If you are charged with insurance fraud, let a good criminal defense lawyer examine your case, craft a defense, and advocate for justice on your behalf. Don’t even think about going to court by yourself – too much is at risk. Insurance fraud is treated as a serious crime in both Nevada and California. Do not answer questions from any police or insurance investigators until you first have the advice and counsel of an experienced insurance fraud defense attorney. Penalties for insurance fraud in California and Nevada are severe and can include stiff fines and incarceration. But if you are innocent of insurance fraud, if there are mitigating circumstances, or if factors would warrant a reduction or dismissal of your charges, an experienced insurance fraud defense attorney will find those circumstances or factors and help you. If you are charged with insurance fraud, it didn’t happen overnight. Prosecutors and police have been investigating and putting together a case, possibly for weeks. You’re going to need the immediate services of a savvy legal defense team with considerable experience in insurance fraud cases. When you work with the Fletcher Firm, you hire a trial team with extensive experience in defending insurance fraud cases at both the pre-trial stage and in the courtroom. With an impressive set of criminal defense attorneys and with experience in both state and federal court systems, the Fletcher Firm is able to provide the finest legal counsel and services in your insurance fraud case. Rest assured, the Fletcher Firm knows how to defend against even the toughest charges and how to guide your case through the justice system with your best interests in mind. 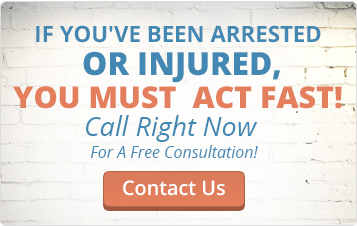 We will bring the best possible resolution to your insurance fraud case. The Fletcher Firm will provide you with the courtesy, respect, and determination you should expect when working with an experienced criminal defense attorney. We have the skills, the training, and the expertise to defend you against a charge of insurance fraud. At the Fletcher Firm, our experienced Nevada defense attorneys will not hesitate to take a case to court if the best possible outcome cannot otherwise be negotiated. We fight for our clients and defend their rights at every stage of the legal process. Call us today for your discrete, honest, and free legal consultation at (702) 835-1542 or at (702) 333-6339, or fill out the Free Case Evaluation form on this website. We’ll give you a fast, thorough reply. If you need legal help regarding insurance fraud or any kind of criminal law matter, speak with the Fletcher Firm as soon as you can.